Saint Colomban des Villards is situated in Maurienne, Savoie at an altitude of 1150m. It offers a natural setting and an authentic charm in a mountain environment for an enjoyable stay in the fresh air, spent with family and full of mountain activities. Also available to discover are the fauna and flora during walks from the foot of the Aiguilles d'Arves or even mountain biking on the Transmauriene paths. Saint Colomban des Villards lake offers activities in a natural surrounding, for a totally different holiday! 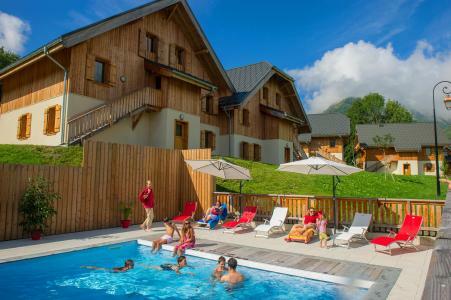 Book your accommodation in to Saint Colomban des Villards resort, a few steps from your favourite activity.